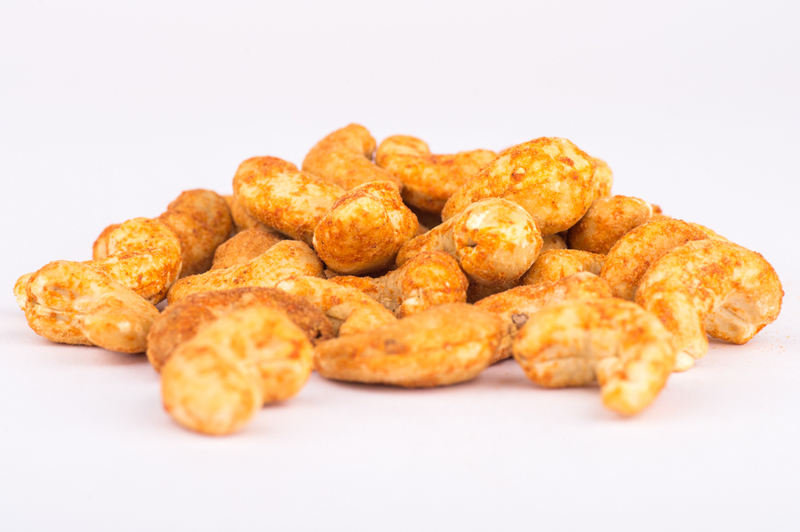 Product has been obtained through roasting shelled cashew nuts and adding chilli flavourings. Should have a consistent characteristic shape. Cashews Nuts (94%),Rice Flour , Salt, Yeast Extract Powder, Tapioca and/or Maize Starch, Sugar, Spices (Cayenne,Chilli,Cumin) Onion Powder, Garlic Powder, Lemon Juice Powder, Natural Flavourings, Natural Colour (Paprika),Herbs (Oregano).